Let’s change the narrative around money. You can introduce the concept of money to your kids at an early age. As your children grow, continue to deepen the conversation and help them understand the concepts of money. If your unsure of where to start, you can also ask a trusted friend or family member to have these conversations with your kids. It’s also ok to let your kids know that you don’t have it all figured out. Explain the things you’ve done and what you would or wouldn’t do again and why. Sharing is how we learn! Deciding where to go on vacation? Buying a new appliance? Include your kids in the process. They can help with the research. You can show them the factors that go into making the decision. You can help them compare the options before making the purchase. Even better, allow your kids to pay for the major purchase. Imagine how your children will feel knowing they did the research to make the best decision for the entire family. Most people don’t learn about budgeting until it’s too late. Imagine what the future will look like for your children, if you teach them the value of savings today. Show them how compounding interest works. When you go to the store, could you give your kids a $10 bill and ask them to purchase part of the grocery list? When could you teach your children about credit? Could you educate them about how credit cards work before they go to college? My mom used the envelope system. She taught me to write my spending on a receipt and then separate out my money, based on different expenses, into envelopes. My dad used a small notebook to record his spending and saving. To this day, my dad still carries that small notebook in his back pocket. He records his pay, spending, and net worth. He even tracks his gas mileage in that notebook. Watching my parents instilled this practice in me. Remember the main reason for teaching our children about how to track their spending is to allow them to better understand where their money goes. More importantly, this allows our children to successfully handle their money and achieve their goals. Don’t worry, teaching your kids about money doesn’t have to be a daunting task. If you’re like most people, the hardest thing to do is to start the conversation. We are here to help. Share these posts with them, discuss the articles on GreenPath’s site or simply reach out to us for ideas. Dusti Young has a passion and energy for spreading financial wellness. Through her role at GreenPath, she connects people to financial wellness by working with GreenPath’s partners. 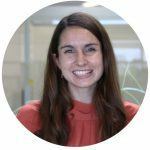 Dusti has been with GreenPath for nearly 13 years and has held a number of roles, including financial counselor, business analyst, and her current role, Partner Relations Specialist.